How many e-scooter riders have to die before cities realize they can’t just ignore their safety? Another e-scooterer was killed last week in Washington, D.C. — the third such fatality in just over a month. The death rate on shared e-scooters is now six times worse than the death rate for bike share systems. E-scooters, backed by billions in venture capital, have been in U.S. cities for just over a year now. Bird claims 10 million rides. And its rival, Lime, claims 11.5 million. But cities have done little to ensure riders’ safety — scooters can’t ride on sidewalks, so their users are forced into heavy traffic in urban areas, where there are few protected bike lanes. Carlos Sanchez-Martin, 20, was the latest victim, struck and and fatally run over by an SUV driver as he tooled around on a Lime e-scooter in the DuPont neighborhood. His death followed the Sept. 3 roadway death of 24-year-old Lime rider Jacoby Stoneking in Dallas and the Aug. 19 killing of 21-year-old Jessica Summers on a private e-scooter. The driver who ran her over was high on heroin, police said. Cities are in a difficult position as private companies introduce new transport modes that cry out for changes to the physical infrastructure. The “hard time” likely comes from local Department of Transportation officials in car-centric cities. Many such agencies feel pressure to keep car traffic flowing and to maintain on-street car storage in favor of a bike lane. But scooters could change that equation by creating so much demand for safety that cities would be forced to heed the call. New York, for example, is wrestling with that very question right now, as Lime and Bird pursue legalization. Until then, though, U.S. cities are saying they want to support sustainable transportation such as e-scooters, but then aren’t willing to make the tradeoffs to truly make the roadways safe for all modes of transportation. In the meantime, e-scooter riders’ lives hang in the balance. For cities to adopt bikes, and e-bikes and e-scooters on their streets, bike lanes will be needed, King thinks. And in major cities where a lot of people are using these modes, there will likely be a need for wider bike lanes, he said. 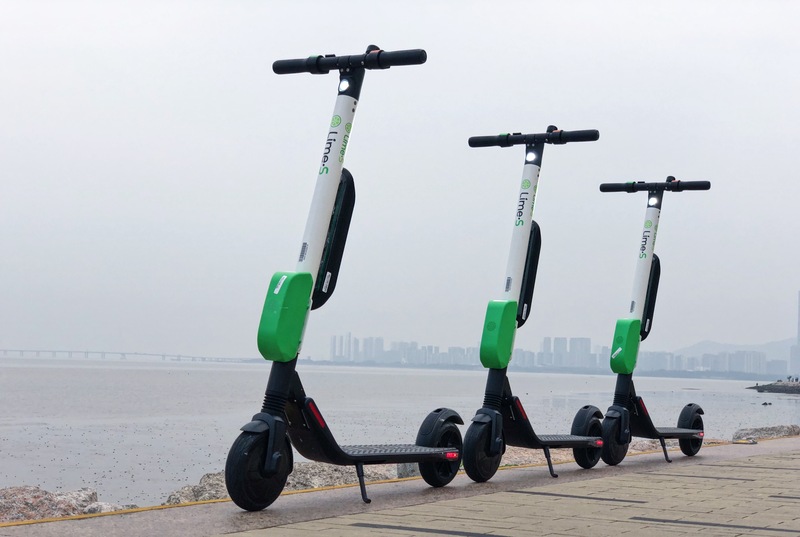 Oh, and smooth roadways: Some data shows e-scooters are causing an uptick in injuries, partly because their small wheels require good pavement. Surely the cities where these are encouraged should be liable for safety of all concerned. By not enforcing the law they are in fact condoning the use of e scooters are they not ? Here in LA the scooters litter the sidewalks EVERYWHERE making walking dangerous. I have not just tripped over them but twice been nearly knocked over by riders. Rarely do riders use the streets of LA since traffic is so dangerous and the scooters are so vulnerable to being wobbly and difficult to control on uneven streets. Beverly Hills and West Hollywood have already banned them for good cause, they are not just a nuisance but a serious hazard to pedestrians. The arguments by scooter riders is that they are saving the planet by not driving a car. This is a specious argument since let’s imagine the impact of removing 20,000 cars from streets in a city as large as LA with 23 MILLION people in the metro area… ZERO. Currently, there are about 1,500 scooters on the streets and they are creating a serious problem. OK fine, then let’s fine scooter riders $1,000 if they ride on a sidewalk and let’s see how quickly this fad evaporates. The scooters are not fit to be ridden in streets with cars and trucks and no one in their right mind will ride a scooter next to vehicles like Mack trucks, buses, concrete trucks, etc. And they are a serious safety hazard to pedestrians. BAN THE SCOOTERS NOW! All the “these won’t make an impact on pollution” arguments are crap. Of course they will. Maybe not immediately, but if everyone starts riding bikes/scooter as much as, say, the Netherlands? It’s a cultural shift we need, and this is as good a place as any to start. Yes, they are annoying in today’s car-centric Los Angeles gridwork. But what we have now is untenable. We can start to change gradually now, or be forced to make massive jarring changes down the line. You are asking to much of city councils -they can barely function with the weight of corruption on them.